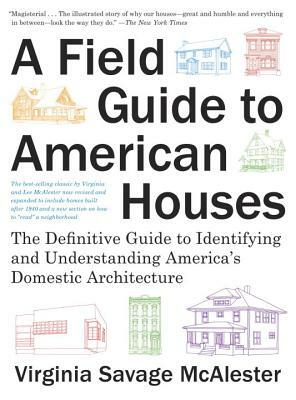 Now in paperback: the fully expanded, updated, and freshly designed second edition of the most comprehensive and widely acclaimed guide to domestic architecture: in print since its original publication in 1984, and acknowledged everywhere as the unmatched, essential guide to American houses. This revised edition includes a section on neighborhoods; expanded and completely new categories of house styles with photos and descriptions of each; an appendix on "Approaches to Construction in the 20th and 21st Centuries"; an expanded bibliography; and 600 new photographs and line drawings. VIRGINIA McALESTER, was educated at Radcliffe and attended the Harvard Graduate School of Design. She is a founding member and past president of Preservation Dallas and also of Friends of Fair Park, the support group for a National Historic Landmark. She serves as an advisor emeritus for the National Trust for Historic Preservation. She is the author of The Making of a Historic District: Swiss Avenue, Dallas, Texas, a 40-page booklet "how-to" published by the National Trust in 1975 that historic groups across the country have used as a guide in creating their historic districts. She is coauthor of The Homes of the Park Cities, Dallas: Great American Suburbs. "Magisterial . . . The illustrated story of why our houses—great and humble and everything in between—look the way they do." "Once you've pored through Virginia McAlester's photo-packed bible of American home design, you'll be able to identify the saltboxes, Dutch colonials, and brownstones lining your own street, and you'll understand the historical significance of each one." "The go-to resource for architecture spotters." "Chronicles the past 400 years of American styles, from wigwam to mobile to modern." "Encyclopedic . . . For lovers of historic homes, this is a rich trove of not just details, but reasons for them." "880 pages of scholarly wonder." "The definitive guide to American housing styles." "Outstanding . . . Expanded and completely revised . . . Both scholars and average readers will find much to enjoy in this volume."